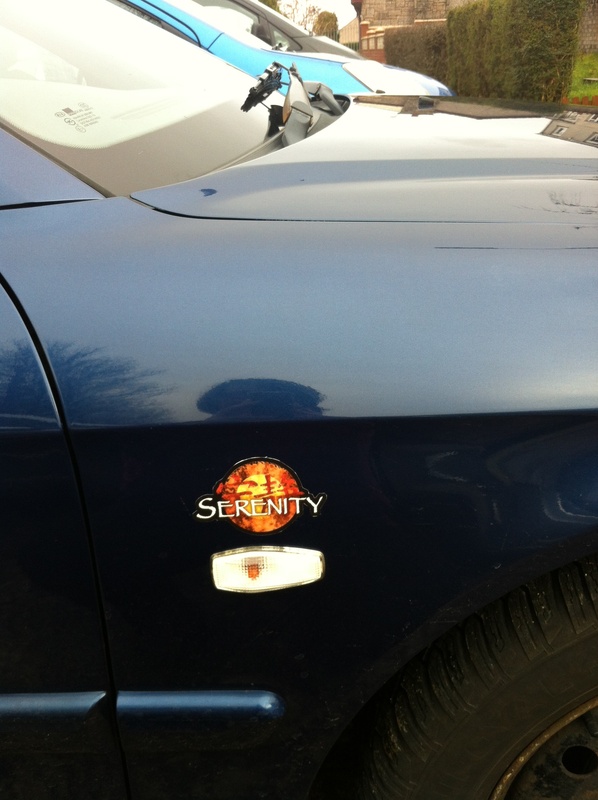 Home » General Musings » Being a Browncoat is goram shiny! One of the nicest yet most random things ever happened to me last week. I had parked my car in a different car park than usual and had returned to it after a day at the office. Nothing very exciting there but trust me! I love my car, it’s named Hank as it’s a big blue cuddly beast and I spend so much time in it that sometimes it feels more like home than, well, home! A few months ago, Husband had made it feel even more like home by applying this to it….. I love it and it makes me smile every time I get in and out of my car. But back to the other day…..
Can you imagine the smile I had on my face for the rest of the day?? Even now just thinking about it makes me grin from ear to ear. 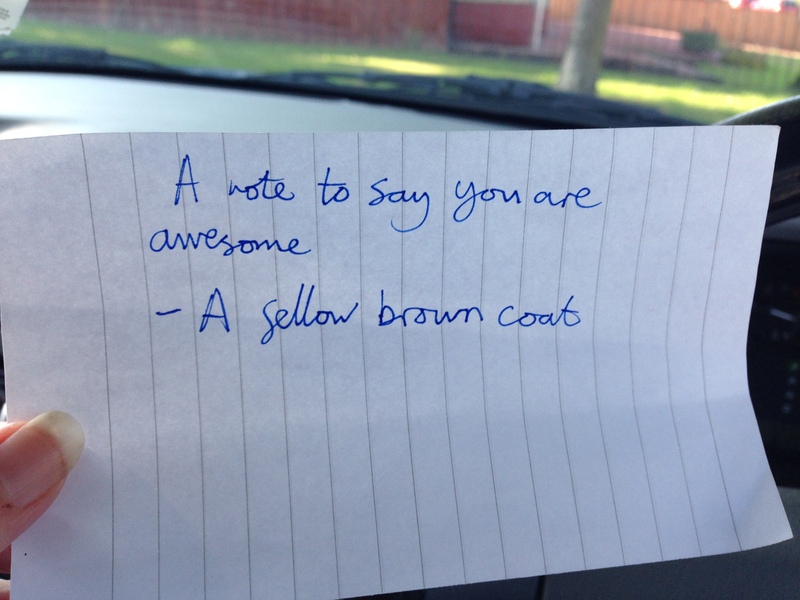 To think that some fellow Browncoat my car and took the time to write the note, isn’t that just shiny? Firefly may have only been on screen for a short time but it’s legacy lives on. The fans are bonded together in the knowledge that it was one of the best shows to have ever been shown on TV. And if you were the Browncoat that left me this note, thank you. You made my gorram day!